Had a farewell memorial service for my dear wife of 41 years today. It was at a local park in Tucson, where we had many fine walks with our little pug Petunia. The memorial bench I bought her was installed three days ago. 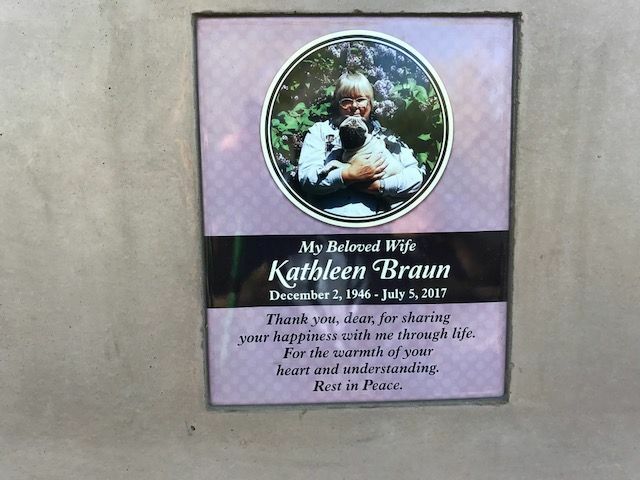 About a dozen friends were there to watch my bury a small box containing some of Kathy's and Petunia's ashes. She passed from pancreatic cancer on July 5th. Still coming to terms with her loss. I miss her dearly but rejoice in the fact she is suffering no more.